The original crime family are back for a third season of lies, murder and deception in Renaissance-era Italy, led by the most devious of the lot, The Pope. 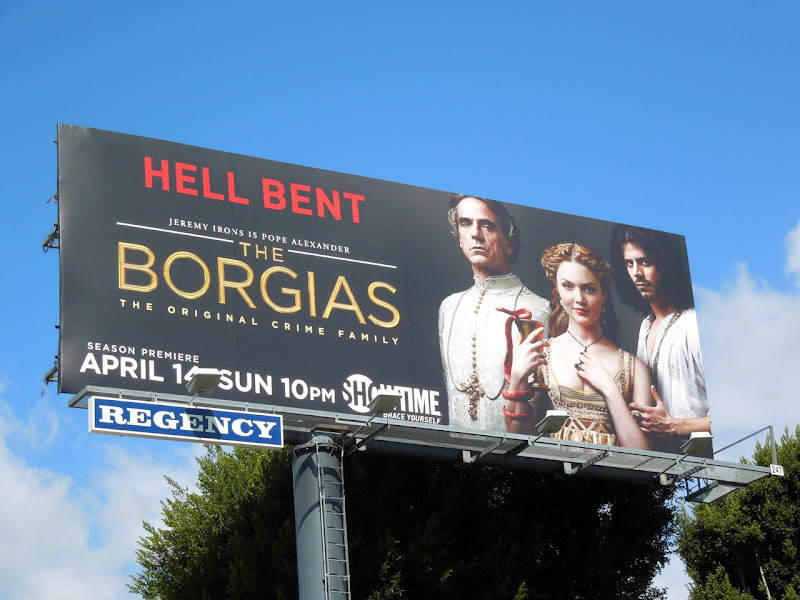 Jeremy Irons returns as the worst father, 'Rodrigo Borgia' aka 'Pope Alexander VI', conspiring with his scheming and literally poisonous offspring in his greedy quest for wealth and power. 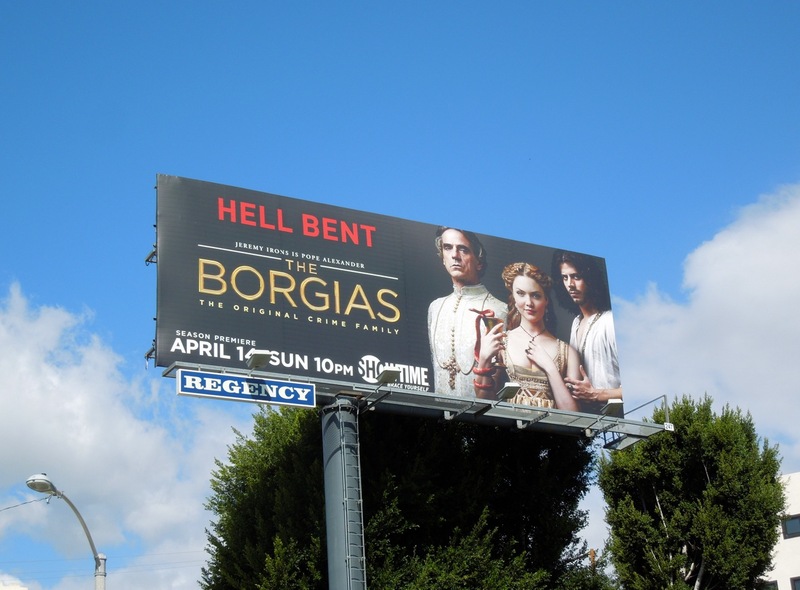 This 'Hell Bent' third season billboard for Showtime's seductive period drama was spied along L.A.'s Sunset Strip on April 8, 2013. 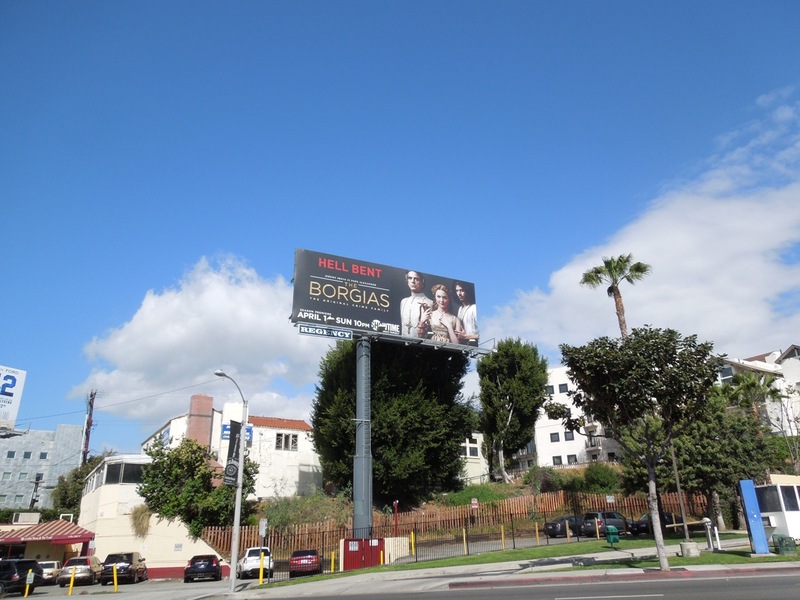 If you're a fan of the show be sure to also check out The Borgias season one billboards and The Borgias second season billboard.